This essential collection brings together the best songs from multi-Grammy Award winner and cross-cultural worship leader, Israel Houghton. The First Decade, highlights the career and brightest songs from Israel Houghton and New Breed who transformed the sound of contemporary worship. This double disk repertoire has been remixed and remastered and introduces 2 new songs including the global church anthem 'Jesus At The Center Of It All' which is currently being sung by some of the largest congregations around the world including, Hillsong, Lakewood, Free Chapel and others. 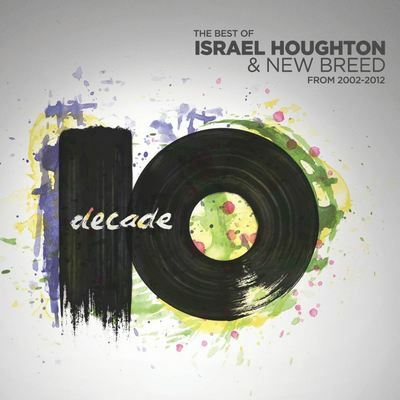 Decade 2cd by Israel Houghton was published by Integrity in March 2012 and is our 1807th best seller. The ISBN for Decade 2cd is 0000768506028. Be the first to review Decade 2cd! Got a question? No problem! Just click here to ask us about Decade 2cd. Which tracks are on this double CD please?